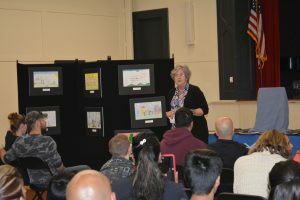 Over 100 community members, including poster contest winners, their families, and school representatives, gathered to celebrate at our annual Fair Housing Awards reception. 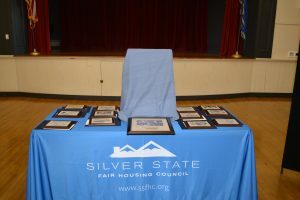 Noble Studios received SSFHC HEART Award for furthering fair housing in our state. 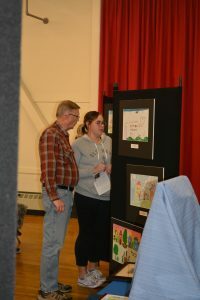 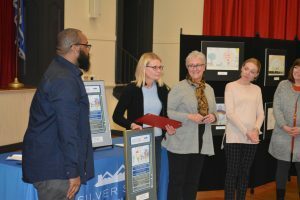 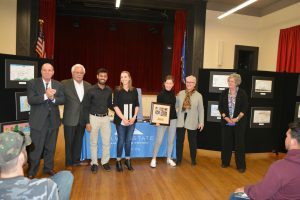 The 13 winners of our annual fair housing poster contest were recognized for their beautiful artwork envisioning a community where all are truly welcome. 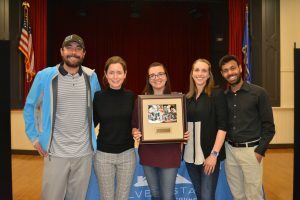 Special thanks to Katie Pace, representing Senator Dean Heller’s office, and Gillian Block, representing Senator Catherine Cortez Masto’s office, for providing certificates to the poster contest winners and helping to distribute awards. 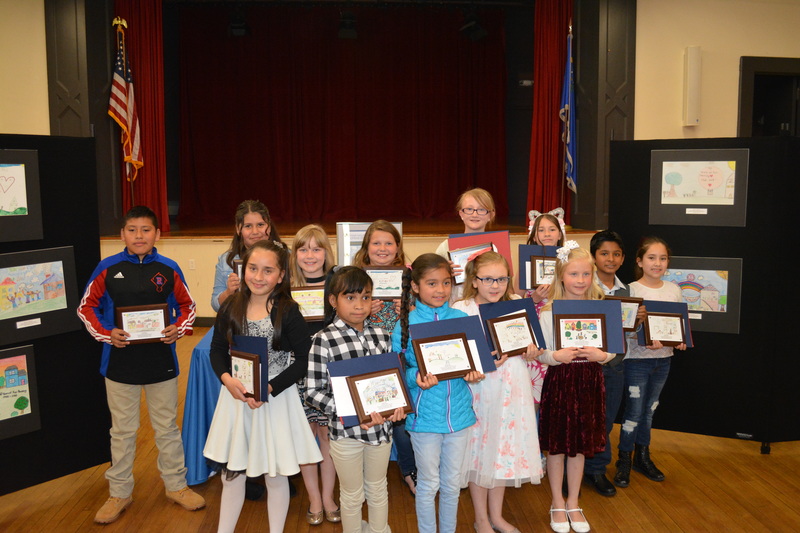 Thank you to all of our 2018 Poster Contest sponsors: City of Reno, City of Sparks, Washoe County, Nevada, Reno/Sparks Association of Realtors, One Nevada Credit Union; Nevada Museum of Art, Kitson Creative, and The Frame Shop At Lakeside. 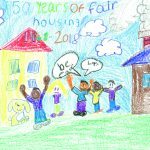 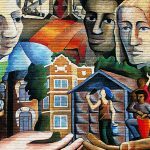 50 Years After the Fair Housing Act: Where Do We Go From Here?